Creatine is a naturally occurring molecule that is produced in the body, and predominately occurs in the liver, kidneys, and to a lesser extent in the pancreas. Creatine can also be found in foods such as meat, fish, and eggs. The body stores roughly 95% of all creatine in the skeletal muscle. The remaining 5% is distributed in the brain, liver, and kidneys. Creatine supplementation has been shown to improve overall health and increase physical performance. Athletes and healthily individuals supplement creatine to help build and maintain lean muscle mass, improve both cognitive and physical performance, and to delay fatigue. Creatine supplementation is not just for the serious weight lifter, creatine has been shown to be immensely beneficial for cognitive function. Creatine supplements are most effective at the 3g – 5g creatine/serving. Research shows that this is an adequate amount efficacious enough to store and replenish creatine stores within the body. Research shows that creatine monohydrate is the most effective formulation of creatine and is the form most recommended by physicians. Studies show that atleast 2 grams of creatine is needed by the body daily to maintain muscle mass, cognition, and strength. The body naturally produces 1g of creatine daily and based on this research at-least 2 extra grams of creatine should be consumed through supplementation or diet. Creatine monohydrate is touted to be the most effective form of creatine. This is because the majority of clinical research studies use creatine monohydrate during testing. Supplementing creatine improves aerobic endurance performance too. Studies show that training or exercises that last longer than 150s (sprinting, long distance running, rowing, etc) are positively effected. Regularly supplementing creatine has shown to have positive effects on strength, power output, body composition, and cognitive (brain) function. Creatine supplementation protocol consists of a loading phase of 20 grams of creatine per day that is split into 4 daily intakes of 5 grams evenly ingested at 3 hour intervals, followed by a maintenance phase where 3-5 grams is supplemented daily for the duration of the supplementation period. This protocol of supplementation has been found to be the most effective way of starting creatine supplementation. Another supplementation protocol that you can follow is the daily single dose of 3 – 5 grams or between 0.03 to 0.1 g/kg per day, however this method takes longer ( between 21-28 days) to produce the intended physical performance, stamina, or recovery effects. Creatine monohydrate is the most popular form of the supplement, preferably on its own, without any additional ingredients. Additional ingredients like sugar, magnesium, or other ingredients touted to improve absorption have not been shown to improve effectiveness. Is Creatine A Steroid Or Considered Cheating? No; not at all. Creatine has no relation to steroids. Creatine is at very well researched supplement that is used by a majority of professional fitness models and athletes. When Should I Take Creatine? Should I Cycle Off It? Do I Need To Load Creatine? Creatine takes a bit of time to store in the system and start producing results. As long as you’re taking it daily, there is no extra benefit to taking it post-workout or pre-workout. Just take it daily, whenever. Taking it after a workout will help build the habit of not forgetting to supplement creatine. A common question we found on forums and blogs was whether or not you should cycle off creatine, the the answer to that is no. There is no benefit or harm in cycling on or off. Loading creatine will increase the benefits you see slightly quicker. Its not a requirement of creatine supplementation its not necessary. However, if you want to see benefits faster, loading creatine is the way to go. Type of creatine – Take creatine monohydrate or micronized creatine monohydrate. Brand – With the hundred or so different brands to choose from, make sure the brand has a strong reputation. Going with a top brand is the safest way to ensure a quality product. Serving Dosage – From our research you need at least 3 to 5 grams of creatine daily. If you’re not hitting this mark you probably won’t see any benefit from creatine and may just end up wasting your time and money. Amount of servings – The top creatine supplements are going to have enough servings for atleast 2-3 months worth of supplementation. 2-3 months of supplementation gives creatine adquate amount of time to get adjusted to your body. Mix-Ability – Mix-ability is huge. If the powder isn’t mixing correctly you could be leaving a majority of the creatine at the bottom of your cup. So lets just avoid that and go with a micronized creatine (tends to mix easier than non-micronized). Container – Make sure the container is air tight . This will keep your creatine from clumping. Measuring tool – Make sure you’re measuring out accurate dosages using either your own method or the tool usually found within the creatine container. Choosing the right creatine supplement is not complicated. Stick to the respected brands, buy from a trusted source (like amazon) and choose a product that has creatine monohydrate. Avoid products with a ton of fillers, additives, and flavoring. A typical creatine dosage is 2,000 mg – 5,000 mg daily. Drinking sufficient amounts of water is a must if you choose to supplement creatine. Stomach cramping may occur with dehydration. This will be a key indicator that you need to increase your water consumption. 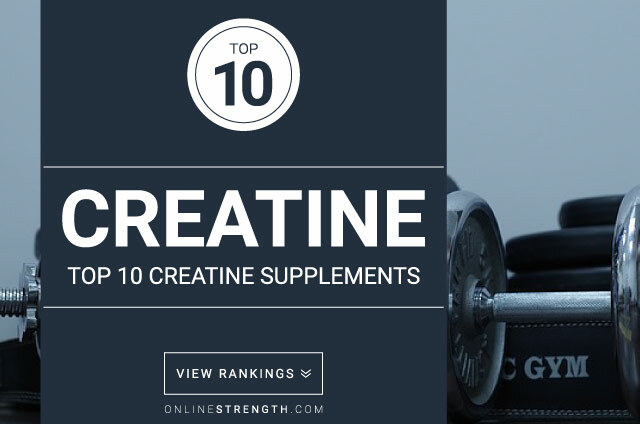 We’ve spent 7.3 hours reviewing the best creatine supplements for men and formulated a top 10 list. In summary, if you’re a man and you’re in search for the best possible creatine for you, go to this link for an updated list.